If were all moving toward an end point where were all free to do whatever we want then were actually striving toward an age of nihilism: once were in a place where everything is defined at the level of the individual then all meaning is personal and nothing is shared. Each of us left to joyride the whims of our own personal universe, unable to communicate our experiences, rendered mute by our own narcissism. The Market, a decentralised network in which competing units of production and consumption ascribe value according to desire has been installed as the answer to the murderous authoritarianism of the 20th century. Its a system implemented to sidestep the problem of power. Definitions of virtue arise out of consumer choices, they are no longer imposed from above. Everyone can be whoever they wish to be, purchasing their identities and lifestyles, demonstrating a plurality of values in the process. In such an environment time speeds up, communities fragment and traditions are annihilated. Novelty is celebrated as new behaviours open up fresh forms of revenue. Anarchy itself is commodified. Yet this network of exchange also involves a pyramid of social hierarchy, harvesting energy from the majority and re-investing the surplus in future enterprise. Human activity is exchanged for representations of energy to ensure symbols are purchased in never-ending cycles of consumption. Anxiety drives progress: fear translates into desire realised via consumption and permanently maintained through fashion and manufactured obsolescence. The problem of power is concealed within the machine we all feed. The negative effects are externalised overseas or left for the future. Those who cant keep up remind the rest to keep moving and the old world rages against the logics of the new. And yet intrinsically the Market depends on our interconnectedness, ensuring products exhibit significances we all share: what use is a brand that no one recognises? Our Selves have been harnessed with fear wrapped in desire and our cultures sold back to us supporting systems of control hidden in plain view. If the anxiety of the age comes from our shared need to belong then in the depths of the perversion we are reminded that the strength of our individuality depends on our unity. Amidst the new logic of planet spanning systems, tsunamis of change and reactive spasms of rage we find we need each other more than ever and nothing has really changed but the dream weve created to be. 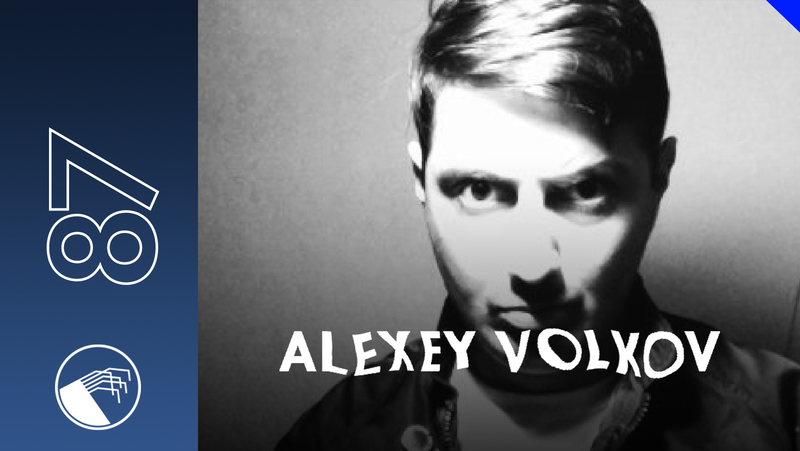 Alexey Volcov began his musical career as a techno DJ in Saint Petersburg and is heavily influenced by early synth music and the sounds of artists such as Nitzer Ebb, Daniel Miller, Robert G�rl and everybodys favourite Dark Lord of the Dance, Regis. Volcov has been producing industrial and EBM influenced techno for several years with four E.Ps being released on Terrence Fixmers Planate Rouge label, a fifth record has just come out on Jealous God. Volcov lays down a threatening, disorientating mix for us here strewn with raw punk brain bombs, twisted samples, musique concrete and confronting ideas. Happy in its deviancy this is midnight music for the black hour, youre a long long way from VIP lounges and Ibiza here baby.